A hypnotic deathbed confession revolving around Opus Dei, crazed schemes, poetry, and Pinochet, By Night in Chile pours out the self-justifying dark memories of Father Urrutia, a half-hearted Chilean priest. 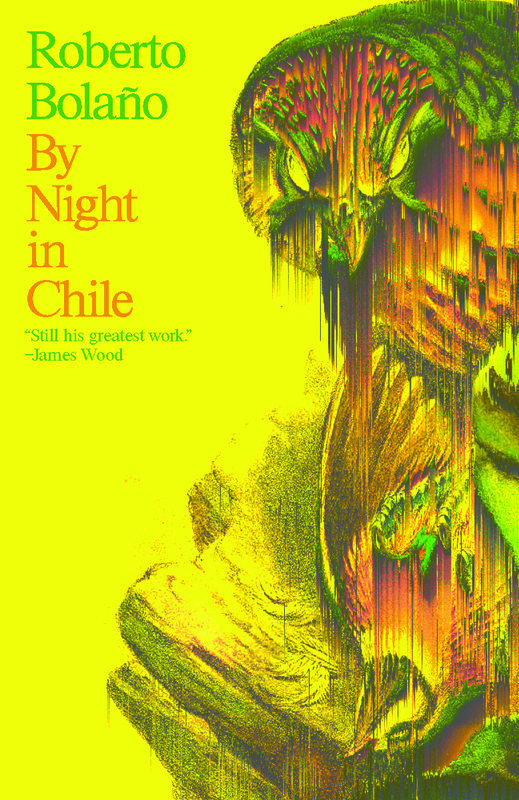 By Night in Chile’s single night-long rant provides—as through a crack in the wall—a terrifying, clandestine view of the strange bedfellows of Church and State in Chile. This wild, eerily compact novel—Roberto Bolaño’s first work available in English––recounts the tale of a poor boy who wanted to be a poet, but ends up a Jesuit priest and a conservative literary critic, a lap dog to Chile’s rich and powerful cultural elite, by whose favors he meets Pablo Neruda and Ernst Jünger. Father Urrutia is offered a tour of Europe by agents of Opus Dei (to study “the disintegration of the churches,” a journey into realms of the surreal); and ensnared by this plum, he is next assigned — after the destruction of Allende — a secret, never-to-be-disclosed nighttime job involving Pinochet. Soon, searingly, Father Urrutia’s memories go from bad to worse.